From its founding in 1989, in Tempe, Arizona at Arizona State University, the Arizona Cup quickly grew in size, expanding beyond its founding location and moving to the Ben Avery Shooting Facility in Phoenix, Arizona in 2001. This year we celebrate our 30th anniversary, with each year having marked steady and healthy growth. 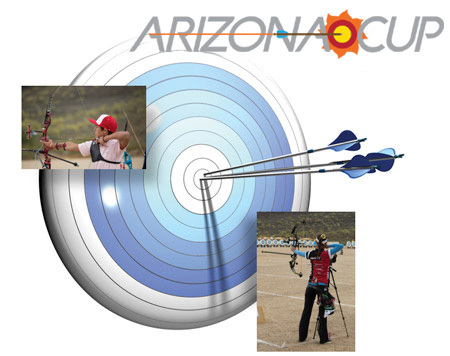 The 2019 AAE Arizona Cup is a United States Archery Team (USAT) Qualifier, a prestigious event that draws top archers across the country. Male and Female, Recurve and Compound, we welcome a dynamic, group of international archers from around the globe. (or) must be a member of a World Archery Member Association. A country may have an unlimited number of archers in the qualification or individual elimination rounds. If you are not a member of USA Archery, you must purchase a Temporary Membership from USA Archery in order to compete. World Records can be achieved by WA recognized members. My country is not sending a team, can I still compete? We've made it easy to register... Registration will open soon!